The end of Spanish rule in the Philippines ended control of religious affairs by the Roman Catholic church. This opened opportunities for Protestant Mission churches from the United States to do work in the Philippines. In 1898, a Methodist chaplain of the US Armed Forces conducted the first Protestant worship service in the country. The Presbyterian, Methodist, Congregational Disciples, and Brethren churches were the first to arrive beginning in 1899. They were later followed by the American Baptist, Episcopal, and Christian Missionary Alliance churches. The arrival of these churches signaled the need to coordinate mission work in the Philippines. In 1901, a council of representatives was formed to foster comity, unity and cooperation. To eliminate competition, each church was assigned a region of the country to work in. The Presbyterians were granted to work in southern Luzon and eastern Visayas; the Baptists in western Visayas, the Methodists in Central Luzon; the Disciples, Brethren and Episcopal churches in northern Luzon; and the Congregational and Christian Missionary Alliance in Mindanao. 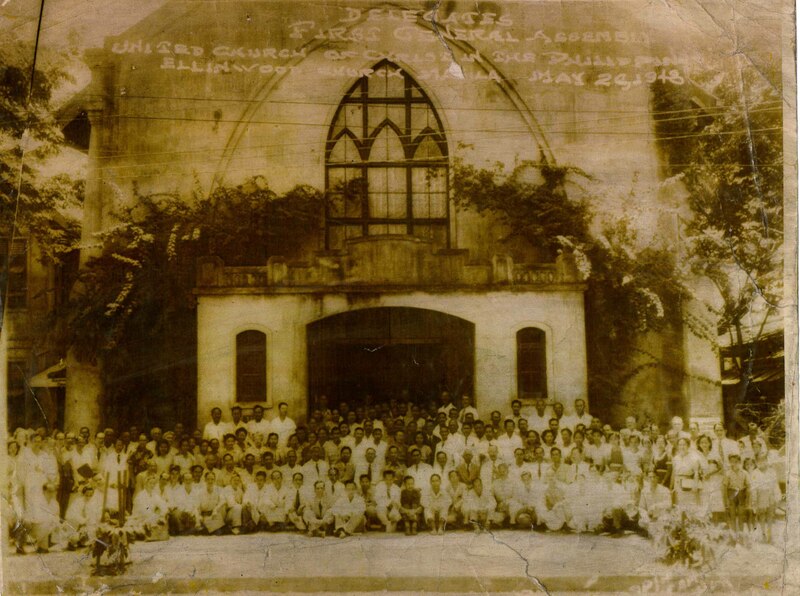 In 1948, after much work toward an organic union of the Protestant Mission churches and institutions, a Basis of Union was signed by the Presbyterian, Philippine Methodists, Brethren, Disciples, and Congregational churches which formed the United Church of Christ in the Philippines (UCCP). If you would like to know more about our history, please see A Historical Sketch of the UCCP.